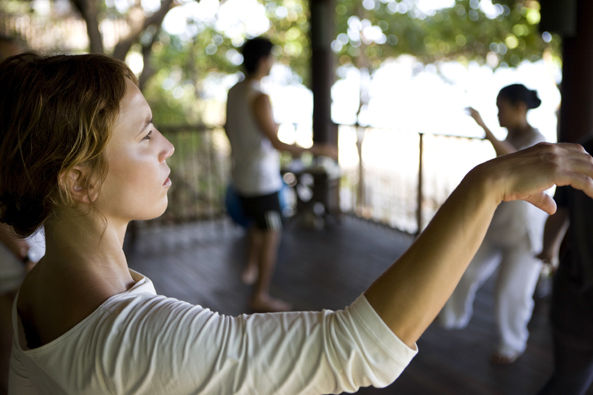 T’ai Chi is a form of exercise that reduces stress and soothes your mind, body and soul. And the good thing about T’ai Chi is it can be practiced by anyone, anywhere. Employers are always looking for ways of increasing staff output in their companies. In particular, they look for things that don’t cost them much money to implement, but have the greatest return in money – and increasingly – staff morale. And there’s no doubt work related stress and the high pace of modern life can send workplace moral plummeting – along with productivity – if you don’t find ways of combating it. Well you don’t need me to tell you T’ai Chi can improve employees’ well-being and health. It’s extremely effective in reducing stress and making you more resistant to ill health. Effectively manage and increase your resistance to stress. Enhance the productivity of employees by making them calmer. Reduce unnecessary absences from work. So it makes sense to try and incorporate regular T’ai Chi sessions at work if you can. Make certain you set aside enough time to practice regularly. Be determined to carry on and make it a daily habit at work. It may seem strange to others at first, but in time, everybody will accept the concept and recognise it’s essential to lessen the side effects of workplace stress levels. There’s no doubt among practitioners that T’ai Chi can increase your self-esteem and positively alter how you feel about work. For more information about putting the benefits of T’ai Chi into your life, then get a copy of ‘T’ai Chi for Life, Health and Fitness’ today.